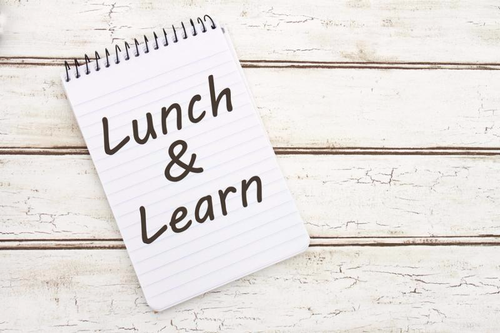 Join us for our customized Business Education Lunch & Learn presented by Hilary Burkinshaw of Innovation DuPage. Hilary is an expert in entrepreneurial and small business financing, growth and development. In Part 1, we took an overview of the planning process. In this session, we will be taking a deeper dive into what goes into the elements of the plan, setting up resources, assessing and accessing any necessary financing, and keeping track of progress towards goals. Part 2 is specifically designed for members who want a better understanding of how to turn their vision into reality - and the key factors of leading a business as well as running a business. Our sponsor is Sally Nauss of SAN Coaching, a business that specializes in creating systems and accountability for growing your business. Fresh and delicious box lunches are provided by Corner Bakery La Grange. Relax and network while you enjoy a delicious boxed lunch, compliments of Corner Bakery La Grange, beginning 11:30am. The program begins at 12pm. Reserve your place now! Let our experts assist you in defining the strategic plan for your business. $10 for LGBA members; nonmembers $20.